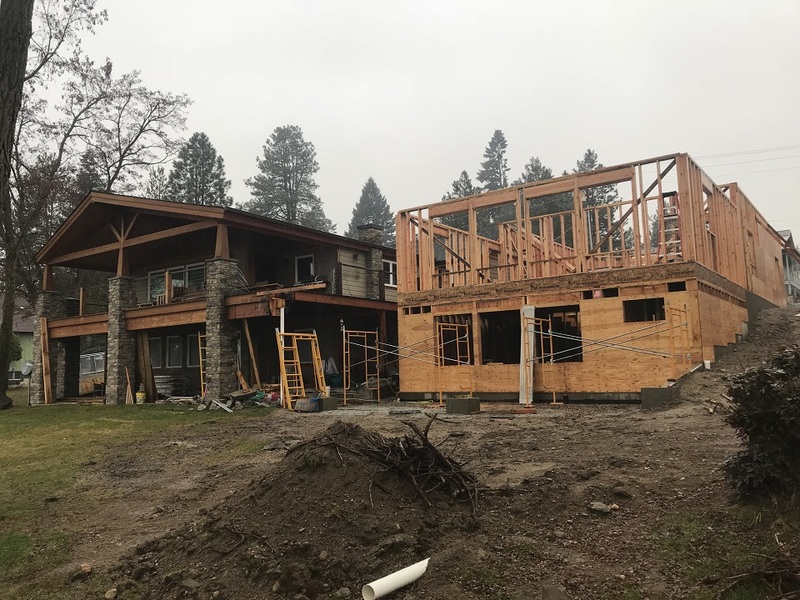 We have been laboring through the winter months primarily on this custom project in Laclede, Idaho. To catch you up, this is a river-front property, and there is an existing home on the lot that just got remodeled in 2014 by another builder and another homeowner. 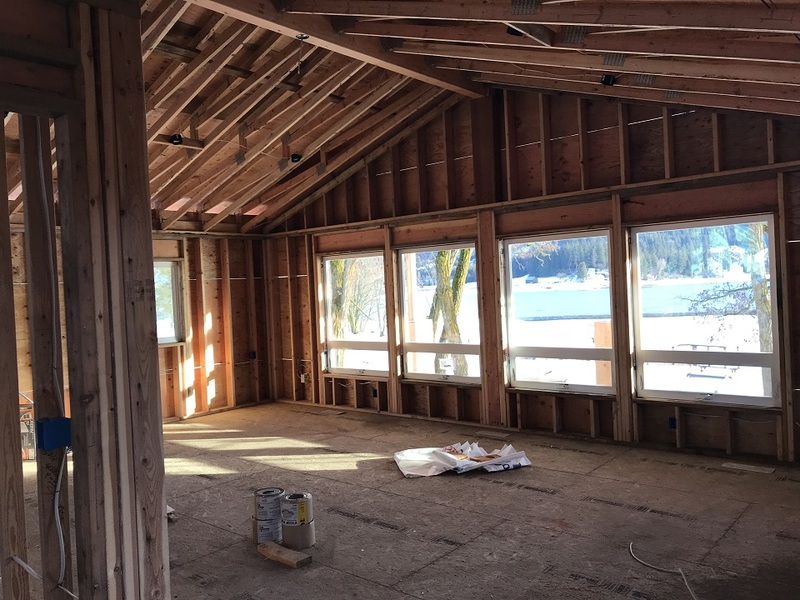 Our Client bought this property and had us tear down the existing 22'x22' simple garage to replace it with a much larger garage and guest quarters with kitchenette and a bath with tiled shower. 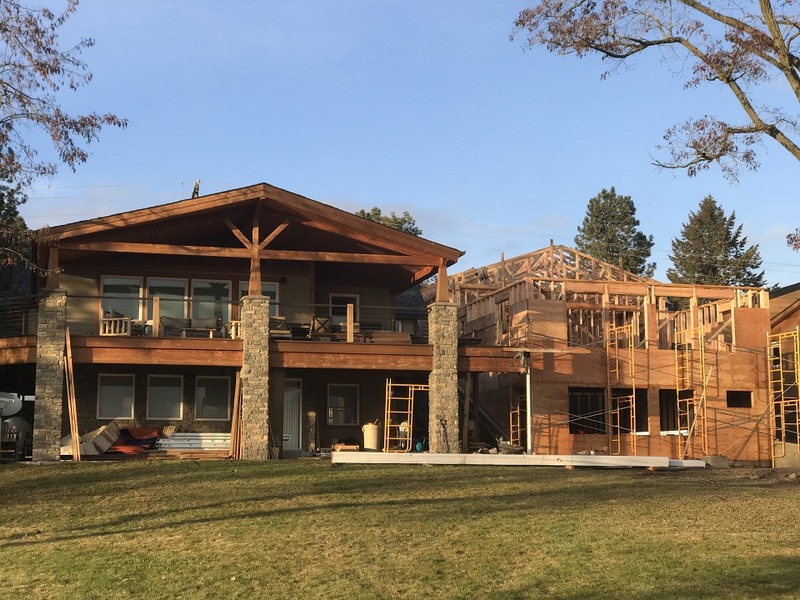 We are tasked with integrating the entire two-story structure into the existing home and deck. That involves a minor roof tie-in and a major deck and rail system tie-in. We are also removing all of the redwood decking to replace it with Trex. 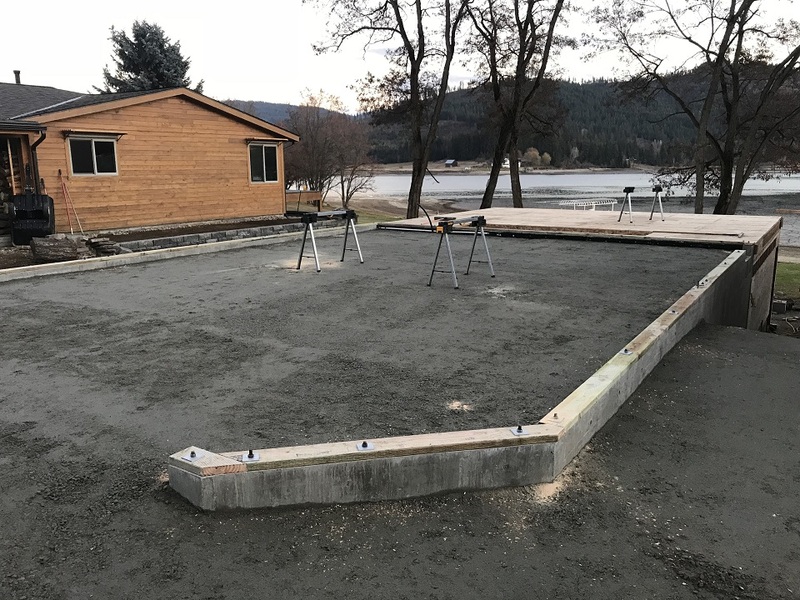 In our last update, we discussed the cascading foundation with the walk-out basement. Now, we'll step through the progress photos and describe some of the details. 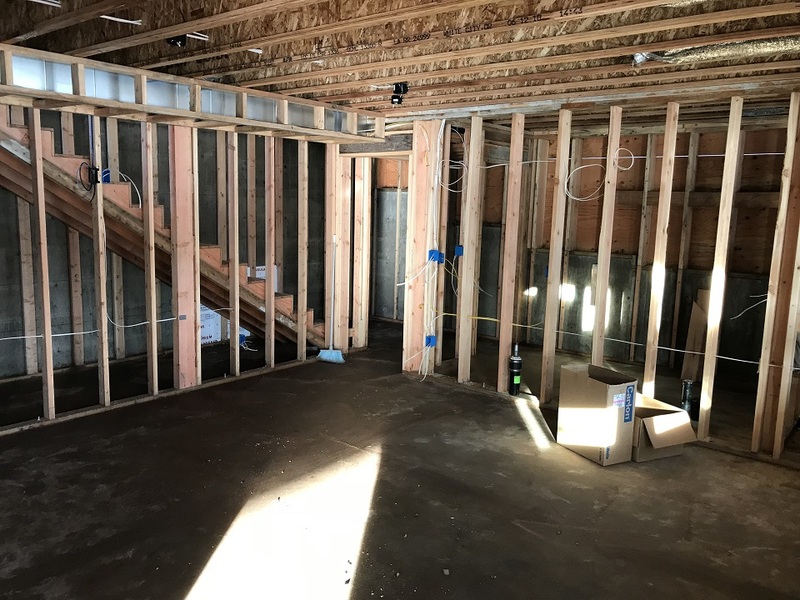 This blog entry will focus on the framing, and in the next entry we will focus on the exterior finish. 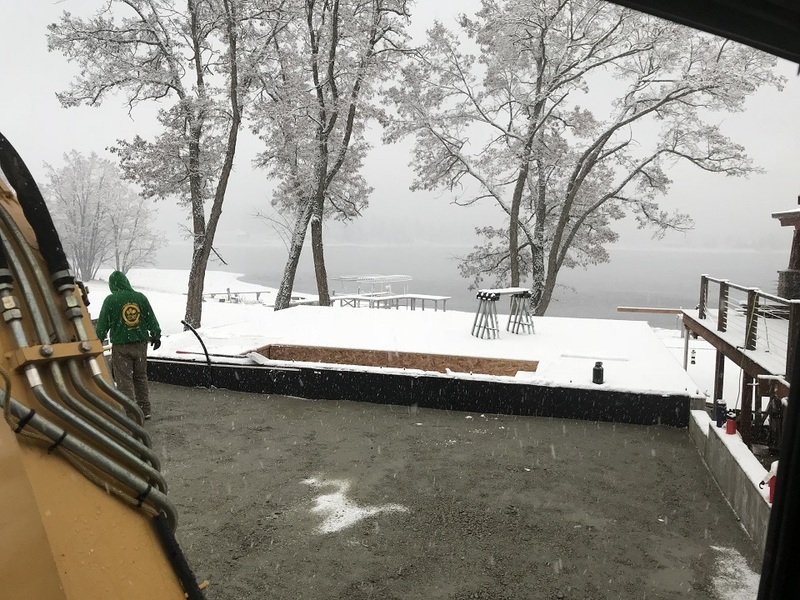 Starting with the walk-out basement, we built the floor with BCI's from Boise Cascade. 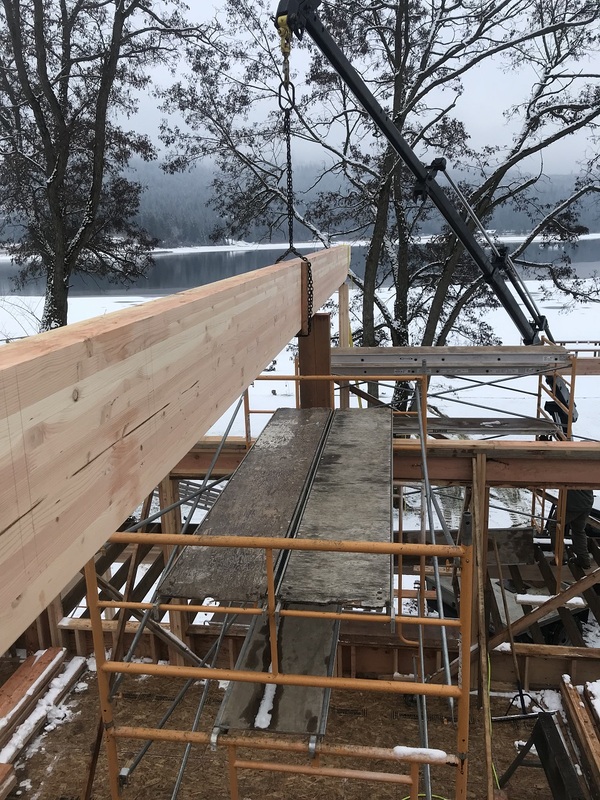 Their great advantage is their long spans, which in this case we have a floor rated at L/960 and a 17' span between load-bearing supports. After that beam was set, we proceeded with installing the trusses, which, in this case, bear on that beam. 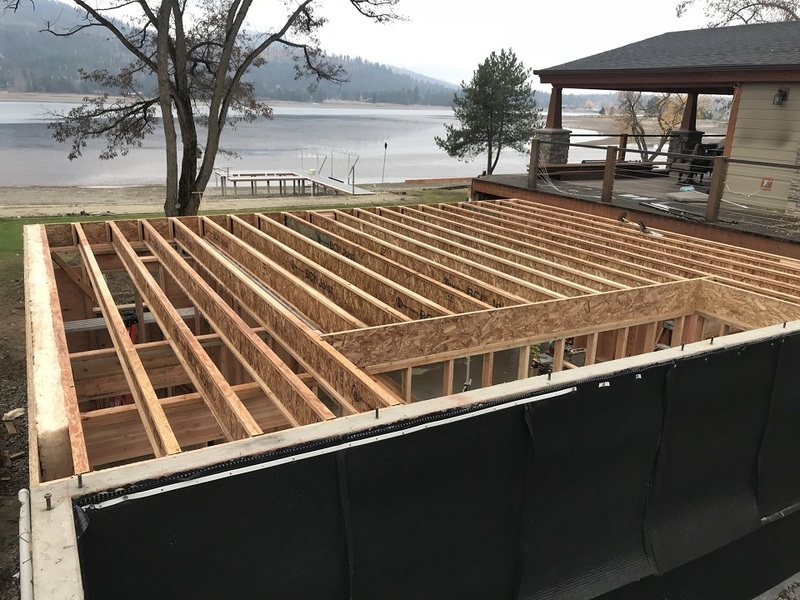 At the deck, the rafters were 2x12's. 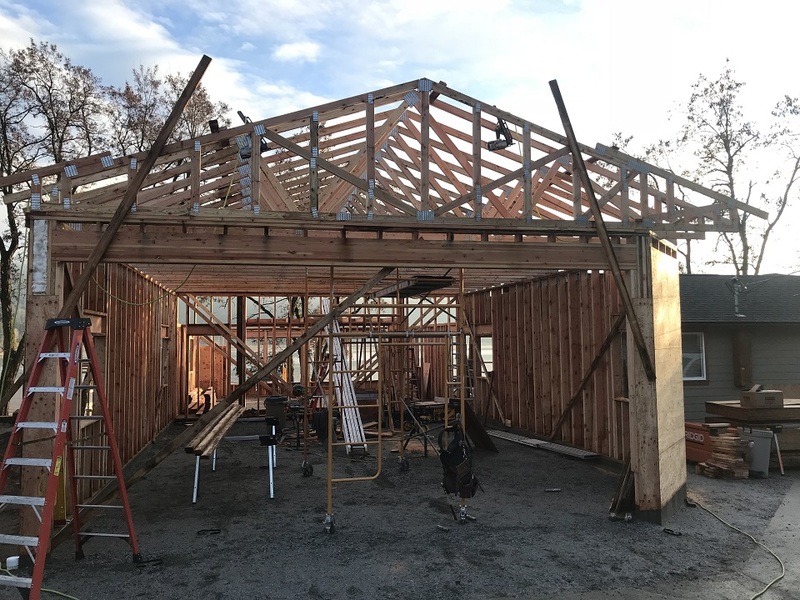 We then tied the trusses into the wall frame with the remaining plywood sheathing, and from there we complete the tail framing, the subfascia and fascia, and we installed the roof plywood. A lot of builders use 5/8" OSB for the roof, but we prefer 5/8" 5-ply CDX plywood. It is a little more expensive, but we think it is a better product.